Holi- the festival of colours is just around the corner and we are all prepped up for it. This year, Holi is on Thursday, March 21 and Indian Railways (IRCTC) has something amazing for you. There is a special contest for people who love Bollywood music. 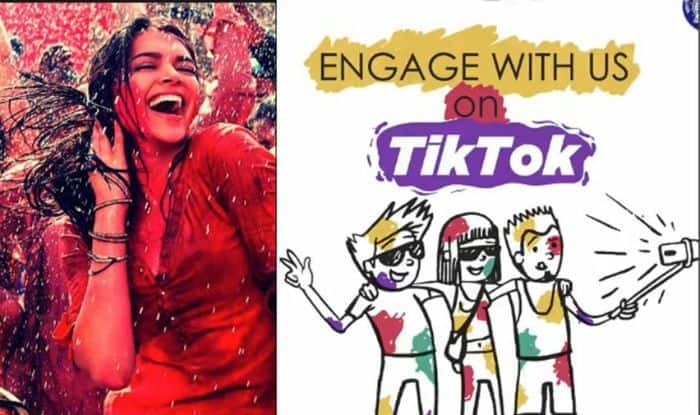 The Holi Contest by IRCTC (Holi With IRCTC) wants people to sing their favourite Bollywood Holi songs and upload videos on the TikTok app (earlier was known as musically). IRCTC knows what is the role of Bollywood songs in Holi. From Rang Barse, Balam Pichkari to Do Me A Favour Lets Play Holi and Holi Khele Raghuveera there is no lack of songs on this festival. Recently, IRCTC’s social media handle posted the contest details which says, “Kick-start your day by participating in #HoliWithIRCTC contest. Share your #contest entries and stand a chance to #win exciting gift hamper. Find us on Tik Tok: @irctcofficial #Contest #ContestIndia #ContestAlert”. “IRCTC is now officially on #Tiktok. Celebrate the festival of colors with us and send in your #HoliWithIRCTC #contest entries to win exciting gift hampers. Find us on Tik Tok: @irctcofficial #ContestIndia #Giveaways #ContestAlert”. IRCTC is now officially on #Tiktok. Celebrate the festival of colors with us and send in your #HoliWithIRCTC #contest entries to win exciting gift hampers. Kick-start your day by participating in #HoliWithIRCTC contest. Share your #contest entries and stand a chance to #win exciting gift hamper. Holi not only signifies the victory of good over evil but also the arrival of spring and end of winter. The festival of colours is also celebrated as a thanksgiving for a good harvest.